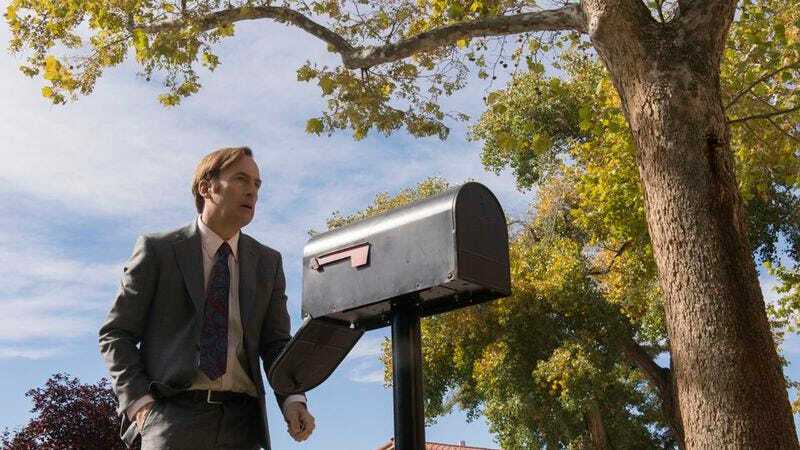 After months of forcing viewers to content themselves with a simple “Spring 2017,” AMC has finally confirmed an April 10 premiere date for the third season of returning favorite Better Call Saul. That’s quite a bit later in the year than the series’ previous two premieres; hopefully the network will serve up some more tasty-looking fried chicken (and Giancarlo Esposito cameos) to tide us over while we wait. Meanwhile, the network’s action-fantasy series Into The Badlands will be back on March 19, bringing back its intriguingly weird blend of post-apocalyptic intrigue and Hong Kong-inspired martial arts violence. AMC also announced a premiere date (April 8) for its upcoming Pierce Brosnan project The Son, a multi-generational drama that tracks a single family over the course of 150 years. All of this information came from the network’s panel at the TCAs today, where it also announced that it would be hosting a new John Le Carré adaptation, The Spy Who Came In From The Cold, from the same international production team-up that created last year’s The Night Manager with Tom Hiddleston and Hugh Laurie.